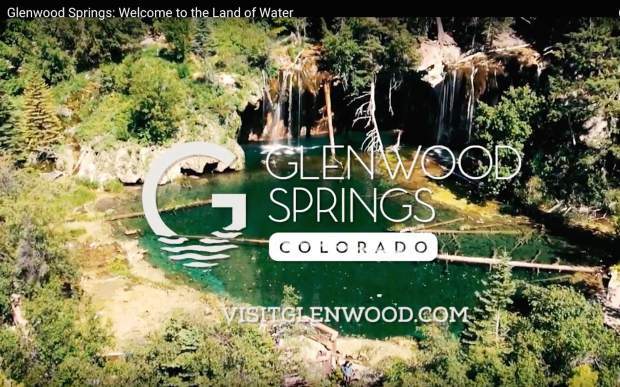 An outtake from one of Glenwood Springs Tourism's latest promotional videos, titled "Land of Water," showing Hanging Lake. The Colorado Historic Hot Springs Loop includes stops at Glenwood Springs, Steamboat Springs, Nathrop, Buena Vista, Salida, Pagosa Springs, Ouray and Ridgway. An outtake from the new Colorado Historic Hot Springs Loop video, showing the Glenwood Caverns Adventure Park overlooking Glenwood Canyon and the Colorado River. A new collaborative effort among Glenwood Springs and seven other Colorado towns urges tourists to take the hot springs loop through the central Rocky Mountains. The Historic Hot Springs Loop takes travelers clockwise from Steamboat Springs to the Chaffee County communities of Nathrop, Buena Vista and Salida, and then on to Pagosa Springs, Ouray/Ridgway and Glenwood Springs to experience some of the best natural hot springs in the world. 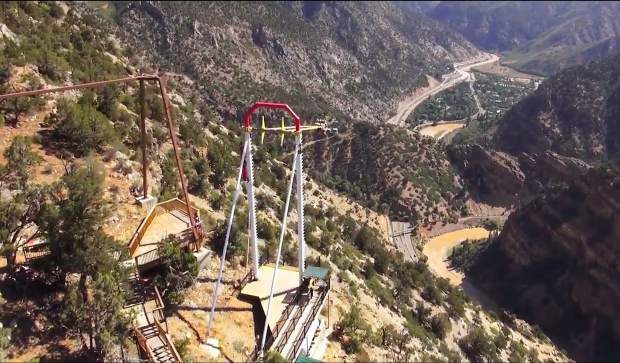 A new promotional video about the loop is making its way around social media, including YouTube, and is now featured on VisitUSA.com, according to Lisa Langer, tourism marketing director for Glenwood Springs. Since its launch, travel writers have come from all over the world to do all or part of the loop, she said in a recent presentation of tourism marketing efforts to City Council. The video has also been translated in Japanese and Chinese, and touring groups including motorcycle clubs have been inquiring about the loop, she said. An accompanying brochure features on its cover one of the newest additions to the hot springs line-up, the Iron Mountain Hot Springs in Glenwood, and the loop is highlighted in a variety of magazine advertising as well, Langer said. The city’s $5,000 contribution to the joint effort is part of Glenwood’s broader tourism promotion efforts. Glenwood Springs’ Tourism Promotion Board is proposing a $930,367 budget for next year, including a marketing budget of $644,291. The budget represents a small increase of $36,757 over this year, Langer said. Another video called “Land of Water” highlights all there is to do in Glenwood Springs on both land and water. 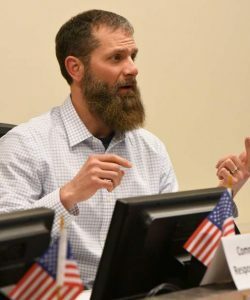 “We’re using this one mostly on social media and on our website,” Langer said of the city’s tourism site, VisitGlenwood.com. A wintertime video is also in the works for after the first of the year, she said. This year alone, Glenwood Springs tourism has recorded a total of 187,316 video views between Facebook and YouTube. 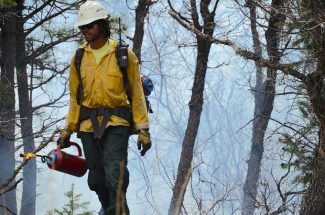 For the past few years, the top-searched term at Colorado.com has been “hot springs,” Langer said. That was one reason the city rebranded itself a couple of years ago around Glenwood Springs’ water assets. An increase in visitors in recent years has also helped the city step up its promotion efforts, Langer said. Through August of this year, the city’s 2.5 percent lodging tax had brought in more than $1 million for tourism marketing efforts. Tax collections have already eclipsed the previous record year of 2008, when overnight stays generated $815,664 for the entire year, she said. Glenwood Springs is also building a large following on social media, with 32,828 likes on Facebook now, up 6.3 percent from last year, 3,930 Twitter followers, an increase of 5 percent, and 4,115 Instagram followers, up 30 percent. Local tourism officials also hosted 40 international familiarization tours for travel writers from seven different countries this year, Langer said. 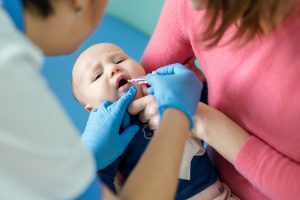 National and statewide advertising and promotions, especially on the Front Range, still make up a large portion of Glenwood’s tourism effort, however. On Saturday, those attending the Denver Zombie Crawl may bump into zombies dressed in spa robes and slippers handing out complimentary “Hydrate now, soak later” bottles of water with the Glenwood Springs tourism logo on them.